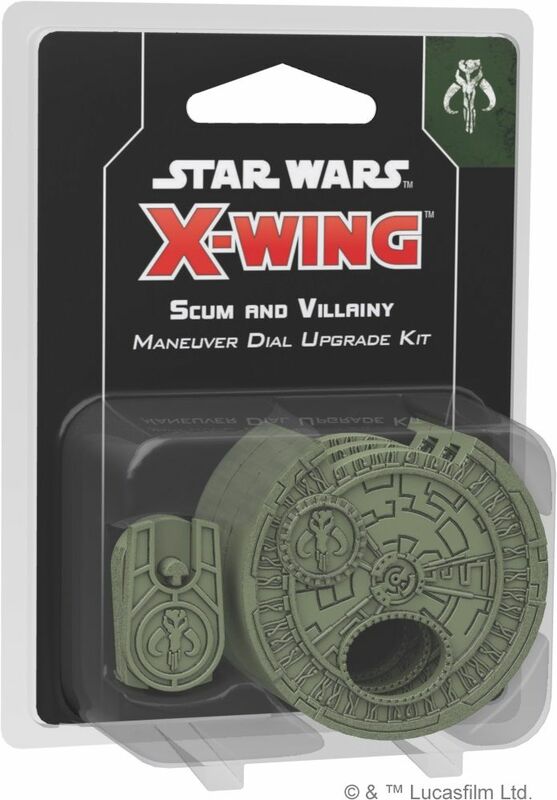 Customize and enhance your maneuver dials as you boldly declare allegiance to no one but yourself with the Scum and Villainy Maneuver Dial Upgrade Kit for X-Wing Second Edition! The three detailed plastic protectors included in this pack safely and secure your ships` maneuver dials while also allowing you to differentiate between your dials at a glance. Choose your maneuvers quickly and stylishly with the Scum and Villainy Maneuver Dial Upgrade Kit!